When you dive with Blue Dive you’ll experience this remarkable area with a touch of luxury. All of our dive trips are privately guided to give you an exclusive underwater experience, away from large groups and crowds. No other operation in Port Douglas offers this service. In addition to three great dives with a private guide, you’ll receive a complimentary memory stick containing photos of your day and if you haven’t dived in a while and want to refresh your skills we’ll include a free refresher session too. Great Barrier Reef scuba diving is taken to the next level on the Agincourt Ribbon Reefs and the Poseidon dive boat has exclusive access to sites such as Barracuda Bommie, The Nursery and Turtle Bay. Agincourt Ribbon Reef is the name given to Agincourt Reef and the numerous smaller ribbon reefs which form it. 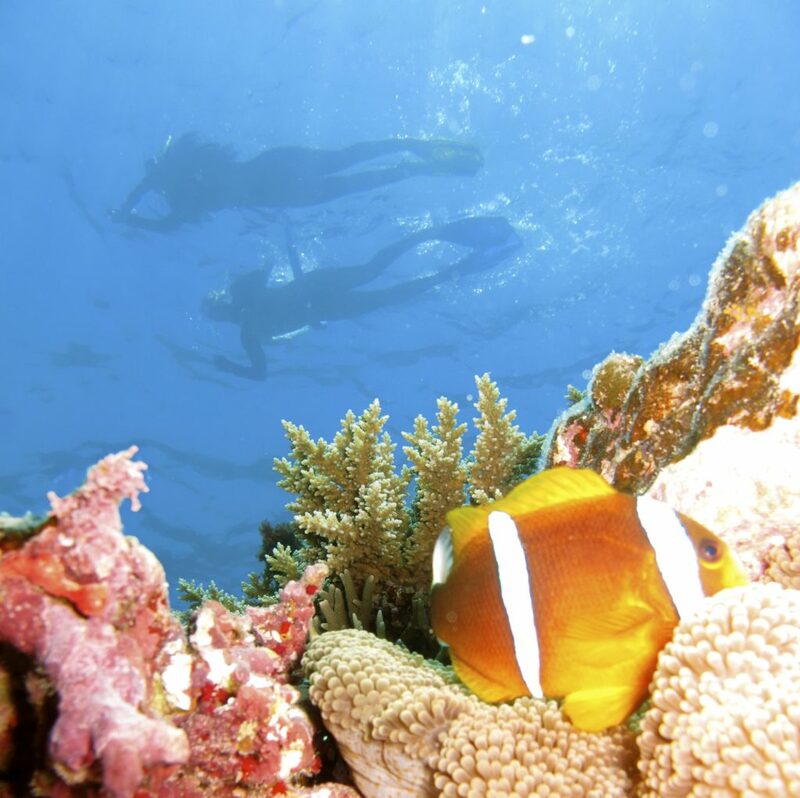 It’s known for being home to the best Great Barrier Reef diving and it’s only 70km from Port Douglas, on the very outer edge of the Great Barrier Reef. One of the highlights of diving the Ribbon Reefs is the variety of marine life and diversity of dive sites. Whether you prefer searching for small and unique critters hiding in the coral or prefer to be looking out to the blue for big fish, you won’t be disappointed. 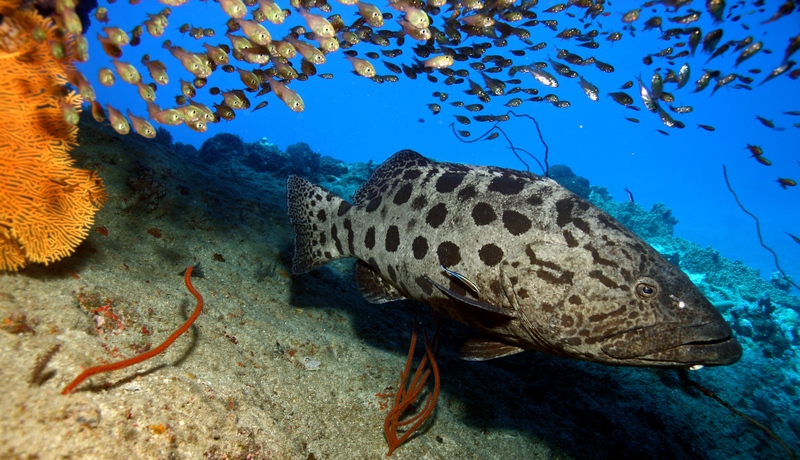 Castle Rock is an awesome site if you are hoping to see large lazing species such as giant cods (including Malabar), Maori wrasses and regular resting white tip reef sharks. 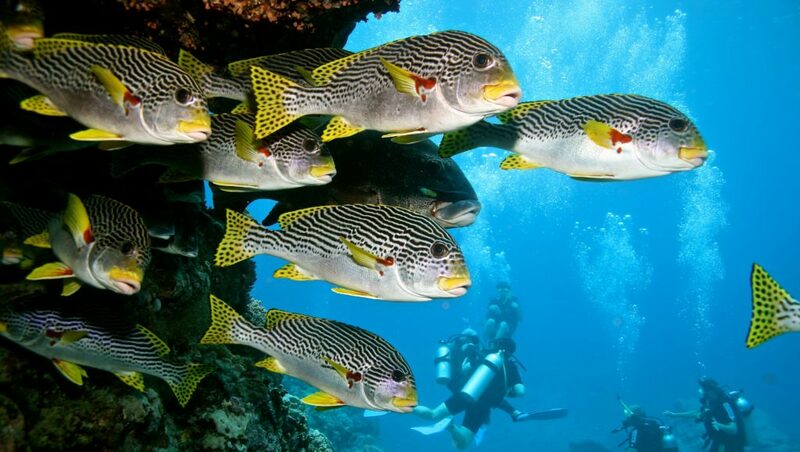 It also offers great visibility and an abundance of small and medium sized reef fishes. Even the most seasoned of divers can’t get enough of Nursery Bommie which is known for being packed with fish and diverse corals. Here you’ll also see schools of barracuda and White-tip sharks and Grey Reef sharks. 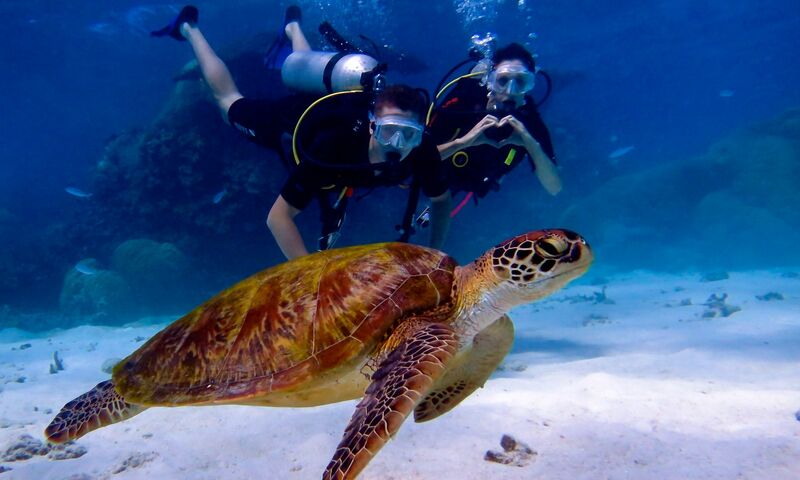 One major highlight of diving Great Barrier Reef dive sites from Port Douglas is Turtle Bay. Turtle Bay, as the name suggests, is a great place for turtle spotting and from October to December large loggerhead turtles are known to visit the area. This site is also home to some stunning giant clams. If you want to see everything from colourful nudibranch to hunting predators then Barracuda Bommie is one of our favourites. You’ll be amazed by the range of great macro species through to menacing dog tooth tuna and passing sharks. In addition to our resident species of marine life we also see plenty of visiting species which include, if you are lucky, manta rays, whale sharks and 4 species of whale. Ribbon Reef diving is always an adventure! Due to the number of world-class dive sites on offer at the Ribbon Reefs we recommend that you allow two days for your Great Barrier Reef diving with us; one day on board on Poseidon and one day on AquaQuest. If you are looking for the ultimate luxury dive experience we also offer private charters. Private charters are a wonderful way to enjoy a day out (or overnight trip) with friends, family and loved ones and you’ll be creating memories which will last a life time. Our charters cater for a maximum of 6 divers plus 6 snorkelers because we aim to keep groups small to ensure you enjoy our highest standards possible. On a budget? While we recommend taking one of our privately guided trips for an exclusive experience we want to make diving the Ribbon Reefs accessible to all. We can book you in to dive with larger groups if you are on a limited budget. These groups are a maximum of 8 divers but usually smaller and you’ll dive with the crew of either Poseidon, AquaQuest or Calypso. You’ll dive the same great dive sites and experience a quality day out but complimentary refresher sessions and underwater photos are only applicable to Blue Dive privately guided trips. Are you ready to dive into the underwater dive trip of a lifetime? Contact us for more information or to make your reservation. We look forward to welcoming you to Port Douglas soon.